In the usual way of things, I’m only interested in real live cats, not pictures, ornaments or any other ‘cat tat’ as someone I know once called it. 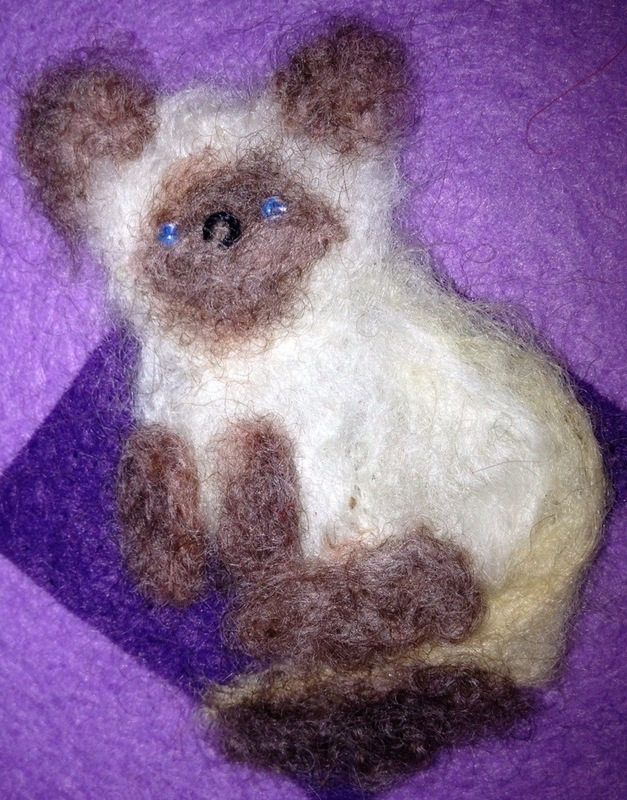 However, a few weeks ago I came across the work of a lady called Alison and just had to buy a little felted Siamese. It is only about 5cm tall and cute as can be. See Alison’s work here.